Are you upgrading your computer’s hard drive becuase it failed or because you want to increase capacity? Before you go looking for a SATA hard drive, look at a great new option that is becoming common place in newer computers – Solid-State Drives aka SSD Drives . Solid State Drives are more durable than the mechanical SATA hard drives as there are no moving mechanical parts. Hence it is usually more suited to handle rougher conditions and last longer than the traditional hard drives. Plus, you also get performance gains and power reductions with the SSD drives. Let’s look at a few common advantages with SSD drives. 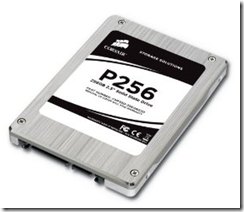 SSD drives have been too costly until recently to be widespread. But, the costs have been coming down and Flash SSDs are now commonplace in smart phones. Desktops and notebooks are also getting SSD drives in the more recent models. You might remember Apple offered MacBook Air with 64GB SSD option. So, if you are looking into buying a new computer, you may want to look at one with SSD as an option along with the soon to be popular USB 3.0 support that promises excellent data transfer speeds. Here are a few SSD drives that you might consider for either refitting your SATA drives with SSD drives or when you purchase a new computer with space to expand. As with any new technology, SSD drives are a little bit pricier than the traditional SATA drives but the performance benefits are winning over more adopters. Have you used a SSD device? What are your thoughts on it?